The quality system at Circ Manufacturing works from the top down. From approval of requirements, the design office 3D models are converted into full engineering drawings and data files needed for use in CNC software. Any changes or amendments can be applied directly at the top and all files and drawings are updated to ensure only the latest information is in use during production. We use an Internal works order system. This comprises of a client approval process of the agreed work flow, process set up sheets and first article inspection reports. 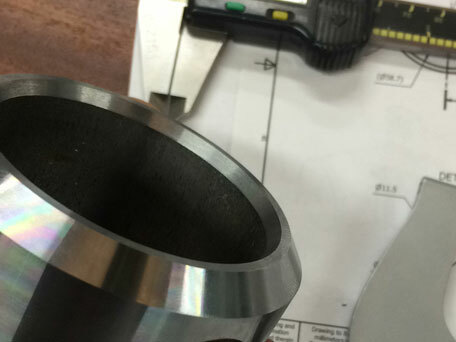 Repeat orders are documented and any specialised tooling required, can be stored ‘pre-set’ for a rapid turn around.